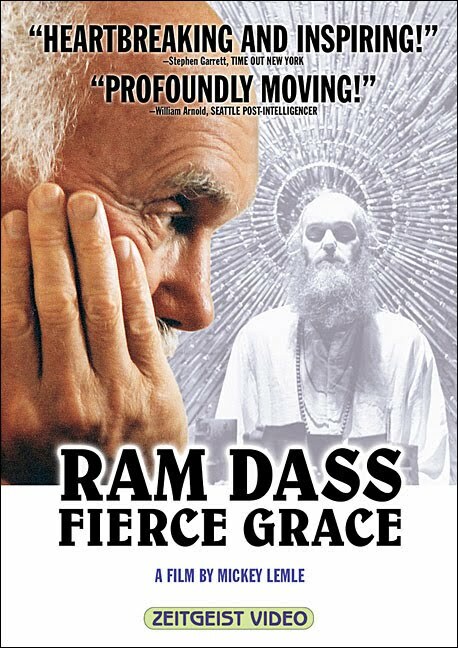 Ram Dass Fierce Grace is a 2002 documentary film about Ram Dass' transformational journey from a Harvard Psychology Professor to a well renowned Spiritual Guru he has become ! The film begins in the present, as Ram Dass deals with the effects of a massive stroke that left him physically incapacitated, and with impaired memory and speech. The film interweaves interviews with fellow devotees of Indian guru Neem Karoli Baba with archival footage of the guru. Lemle looks back at Dass's privileged childhood, the controversy surrounding his research in psychedelics at Harvard, his pilgrimage to India and devotion to Neem Karoli Baba, his work with the Seva Foundation in social projects, and his impact as an author and guru to his followers. Fierce Light Movie : When Spirit Meets Action ! Who's Driving The Dreambus Movie ? !